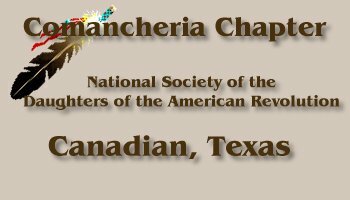 Our chapter was organized April 14, 1973, at Canadian, Texas, by Mrs. John Ramp, Organizing Regent. It was named for The Comancheria, which was the home of the Comanche from the early 1700s until 1875. We meet the second Tuesday of the months of September through May, and enjoy many DAR activities during the year as we contribute to our community. Each spring, we honor seniors from five area high schools and present awards to outstanding American History students. At our annual Flag Day celebration, we present American flags that have flown over the U.S. Capitol to naturalized citizens. And we have a float in the annual 4th of July parade. A visit to our chapter will find you in the midst of West Texas hospitality and friendliness. We welcome visitors and hope you'll join us at one of our meetings soon. The filmstrip at the left edge of this page features some of our local attractions and enchanting scenery. 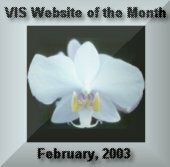 Please check out our scrapbook pages in the links below. Also, be sure to check our patriots list. Perhaps you'll discover you're eligible to join DAR. After driving the Apache from the plateaus and plains of West Texas, the buffalo-horned Comanche held a 200-year dominion over most of what is now central and west Texas, eastern New Mexico, southeastern Colorado, southwestern Kansas, and all of western Oklahoma. They kept all non-Comanche people from their territory. Their control was so complete that until 1875 all of this land was known simply as the Comancheria, the land of the Comanche. 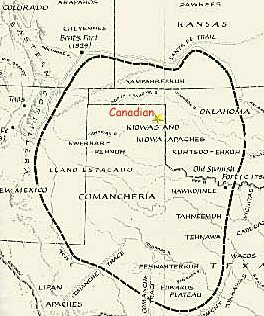 Canadian, Texas is in the northeast quadrant of "The Comancheria." Last update June 4, 2018.